Whenever I travel, I’m always looking for something adventurous to do: climb mountains, find the best view of the sunset, explore local gardens. Even when I’m at home, I seek out adventure in my everyday life. This “adventure mindset” has led me down unbeaten paths to extraordinary experiences—both in my personal life, and in my business. What kind of adventures are you creating in your own world? Without adventure, life can quickly become boring, and we start to become complacent. Creating adventure—seeking out new and different experiences—is what gives meaning and excitement to our lives and businesses. 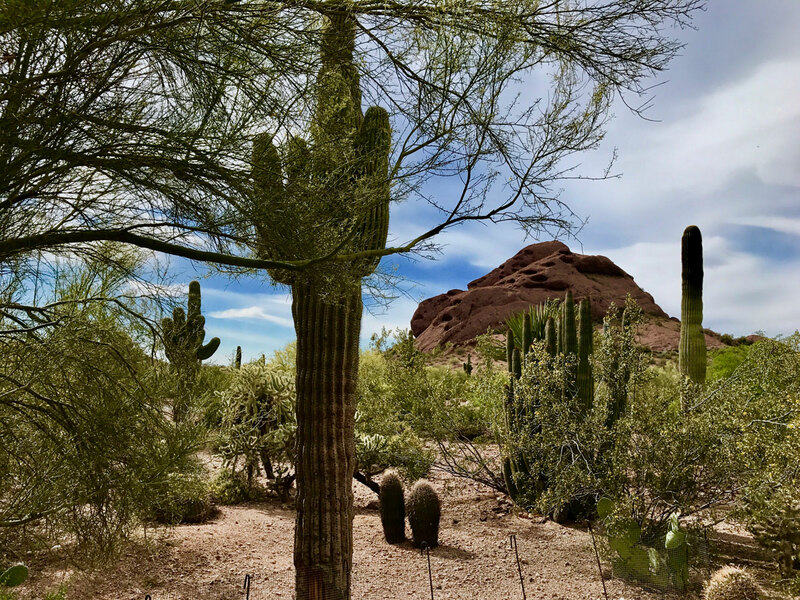 Just yesterday, I took an early morning flight to Phoenix and headed straight to the city’s beautiful botanical gardens. I spent the day photographing exotic plants and gorgeous scenery, seeing things I never had before. Instead, I could have been relaxing at my hotel —but where’s the adventure in that? These found moments of discovering something new are what make life worth living. The same is true for your business. While being adventurous at work won’t always yield amazing results, it’s always worthwhile to get out of your comfort zone. Otherwise, your business is sure to become stagnant. Just think of the great innovators who have changed the course of humanity over the centuries—Edison, Archimedes, Galileo—all people with an adventure mindset who were never content with the status quo. What can I do differently? What existing products and services can you improve upon, adjust, or tweak in an exciting way? Think of new ways to approach your current business that might give you a different perspective on your core offerings. What should I stop doing? Are there certain products or services that no longer serve your customers? Maybe it’s time to discontinue that product you’ve been selling for over a decade, and dream up something more relevant to your customers’ needs today. Or perhaps you could stop offering that service you’ve grown bored with over the years. What new things can I try that I’ve never done before? Think totally outside your comfort zone! Really push the envelope to create new products and services you’ve never offered before. What unbeaten path can I take? Is there an untapped area of your industry where you can be a pioneer? A brand new market to tackle? A new audience to cater to? Look for unbeaten paths where you can chart a course that no one has ever attempted before. How can I chart new territory in my business? Consider new territories—geography, gender, age, corporation vs. consumer—that you can start to reach out to in your business. What exciting new categories can you add to your audience? Which offerings or products should I possibly terminate. Remember, adventures are the key to staying excited about life and business. Without it, the creative spark fades just a little more with every year that passes by. Don’t be afraid to chart new adventures that might lead nowhere. They’ll eventually lead you to the greatest adventures of all. Are you creating adventures in your life and business? It’s time to start pushing the boundaries and expanding the landscape of your life and work.